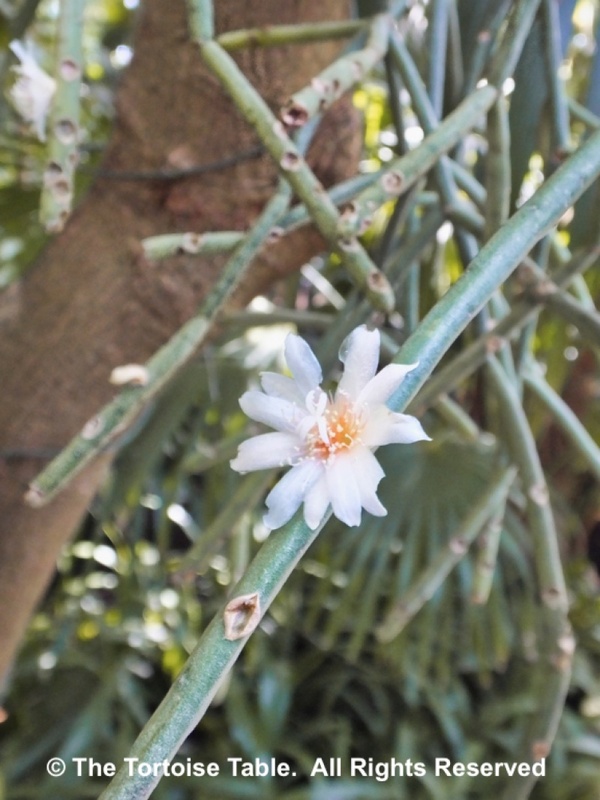 Rhipsalis is a 'hanging' cactus that is epiphytic (meaning that in the wild it typically grows on the surface of another plant, but is not parasitic to that plant). 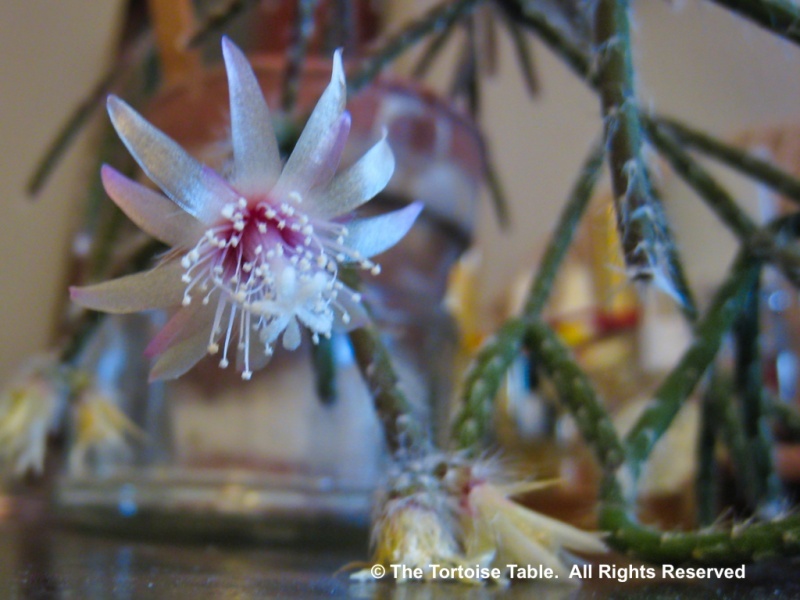 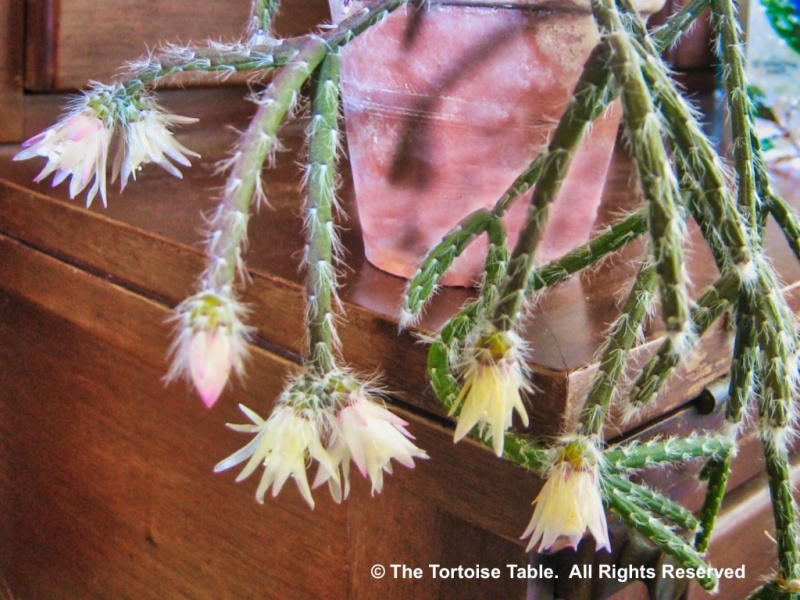 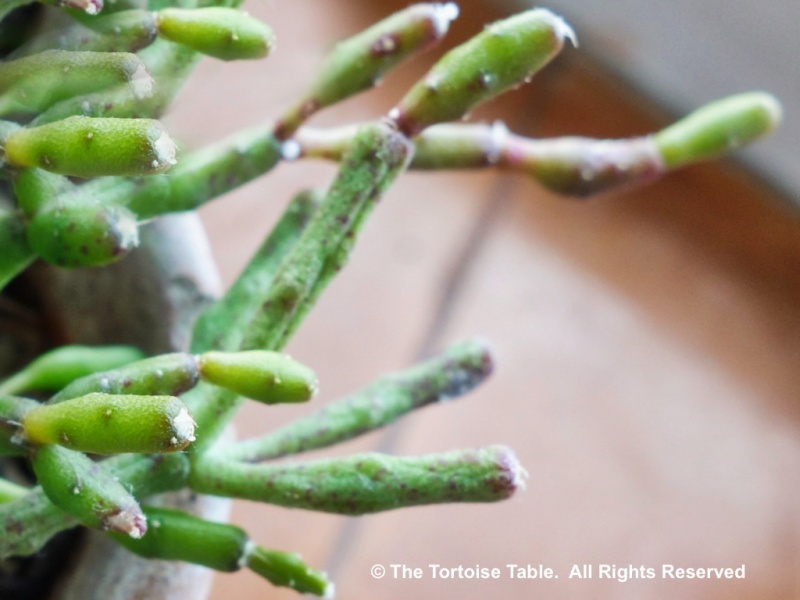 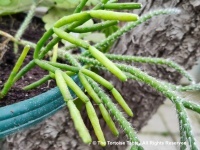 It is not known to have any harmful properties and so could be fed to your tortoise, but some species of Rhipsalis are covered in hairs (like soft spines) and could possibly be irritating. 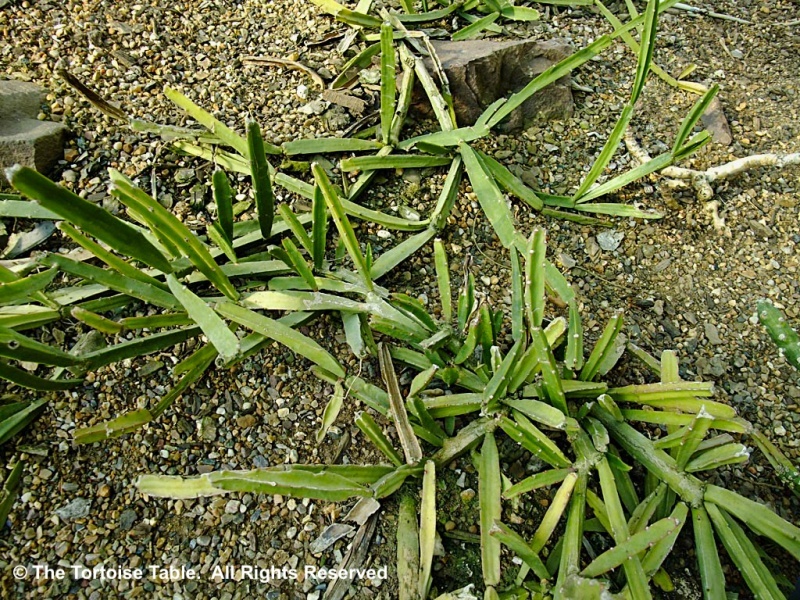 The sixty species in the Rhipsalis genus vary widely in the shape of their leaves -- ranging from flat leaves looking similar to the Christmas or Easter Cactus, to long slender tubular leaves, resembling those of Mistletoe (from which it derives its common name), so do be sure of your ID before feeding the plant. 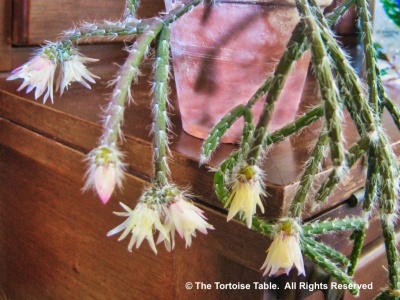 Flowers are mainly white, but some species have yellow or red flowers. 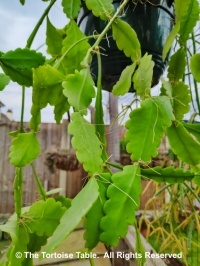 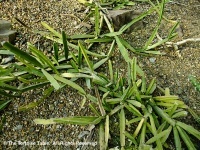 Do not confuse with Mistletoe, which is a different plant and is toxic.